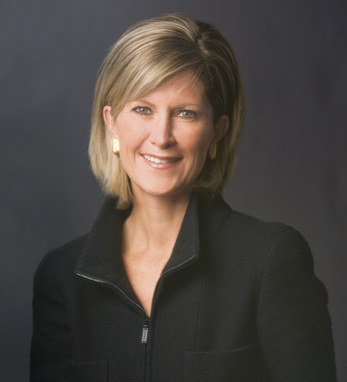 Mary Callahan Erdoes is the CEO of J.P. Morgan’s Asset Management line of business. She is a member of J.P. Morgan Chase & Co.’s Executive and Operating Committees. Mary joined J.P. Morgan in 1996 as head of fixed income for high-net-worth individuals, foundations and endowments. Following the J.P. Morgan/Chase merger in 2000, she assumed responsibility for the global suite of investment solutions and investment strategy for private banking clients worldwide. In 2005, Mary was named CEO of J.P. Morgan’s Private Bank. In 2008, she became chairman and CEO of Global Wealth Management at J.P. Morgan. Mary is a graduate of Georgetown (BS) and Harvard Business School (MBA). She is a member of the board of directors of the U.S. Fund for UNICEF. In 2009, Forbes named Mary one of “The 100 Most Powerful Women in the World,” and U.S. Banker listed her among the 25 Most Powerful Women in Banking. An Illinois native, Mary is a fourth-generation Irish American. Her great-grandparents emigrated from counties Cork on her father’s side and Tipperary on her mother’s. Mary lives in New York City with her husband and three daughters.